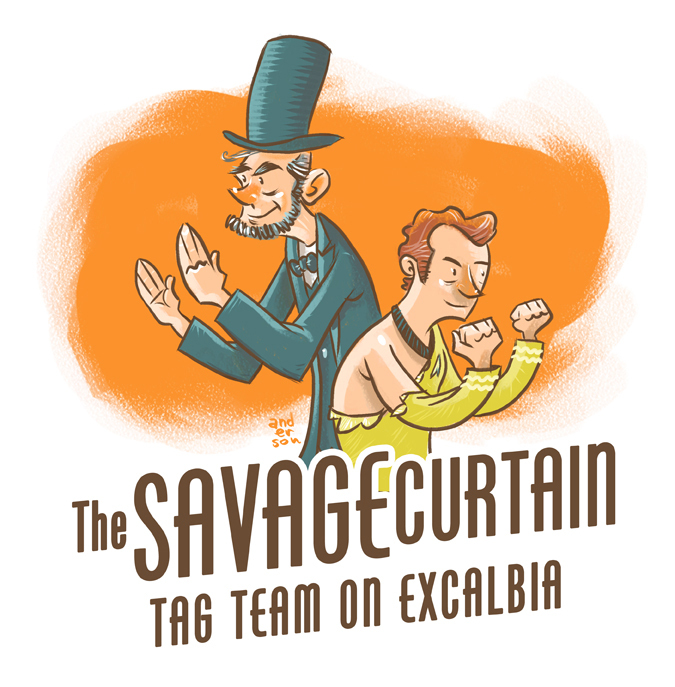 Kirk and Lincoln – Tag-Team Champs! We’ve been watching a lot of Star Trek lately here at Mission Control. Last week we all headed out on a field trip to see the new movie and that prompted us to go back and watch a bunch of the best from the original series, including the awesome one where Kirk and Spock team up with Lincoln and Sarak to beat the baddies. The Comic Creators Mini-Group I belong to has a weekly sketch challenge and this one nicely coincided with all that. Here’s my contribution below, and see a ton more amazing Trek art at the Mini-Group Tumblr.